Joan Silber does it again. 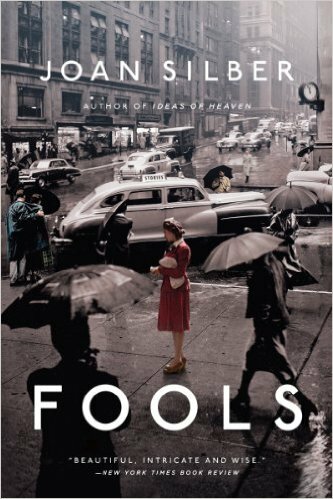 Fools is what people call a cycle of stories, somehow more than your average linked collection, but still segmented enough to not quite be a novel. The first story lends the book its title and gives way to all the stories that come after. “Fools,” about a group of early twentieth century downtown anarchists, stands on its own as a unique, daring, touching narrative. It is thrilling, though, to continue on reading to see how the progeny of those anarchists–how the children of those that work in the hotels they will run one day, how the nonprofit development officer who meets the French lover of one of those children–spin out into a vast world of personalities, dramas and social movements. How did she do it? Oh, I really wonder. This is one of those books that will fade into my memory as if it is actual memory, as if I knew these people once, as if, maybe, I even did what they did. I swear I remember, once, being on a cold, blustery Staten Island beach. Was I? You’ll notice there’s a gigantic gap between this entry and my last; it isn’t because I haven’t been reading, though! For most of the summer, I’ve been working through Elena Ferrante’s Neapolitan Novels. I will post about them, I’m sure, once the fourth comes out next month and I can write about the quartet as a whole. I also had to intersperse some middle grade and YA novels in there for work. 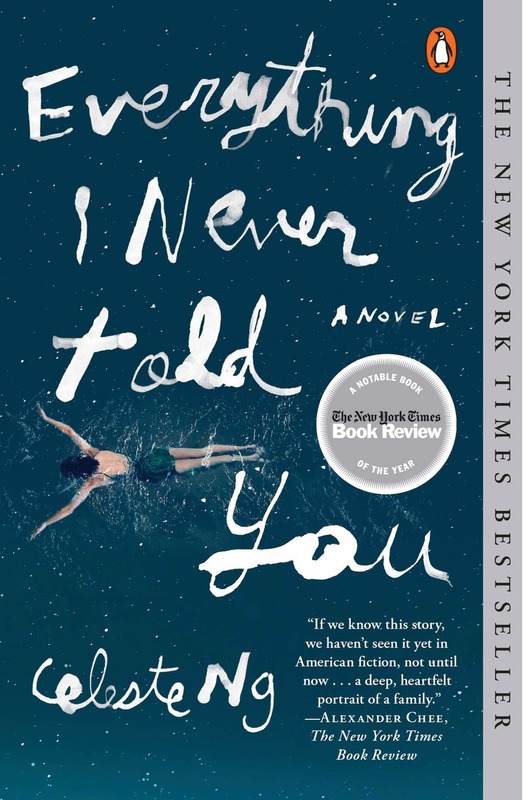 But, I am happy to report that I’ve returned to recreational reading with one of the biggest books of the last year or two, Everything I Never Told You by Celeste Ng. When I first started hearing about this book, I wanted to read it. When I continued to hear about it, I thought, oh wait, it’s a best seller, so maybe not. Because, you know, I’m a snob. But a little while ago, I picked it up in a bookstore and read the first couple of pages and was hooked. I didn’t buy it then because I had too much Ferrante to tackle, but filed it away as a treat I’d buy myself soon. After I finished teaching my book club camp, I did go right out and buy it, planning to read it yesterday at the beach. But, I got called to babysit on Saturday and, after the little one went to bed, I needed a bit of unwinding. As exhausted as I was when I finally got home, I stayed up to finish it. So, it’s heartening that this novel is so popular because it is really, really good. It gives me faith in people’s taste! As the first sentence tells the reader, the book revolves around the death of a child, a teenager named Lydia. Her family, outsiders in their 1970s, small Midwestern college town for a few reasons, the biggest of which is that James, the father, is Chinese-American, while the mother, Marilyn, is white. Their two surviving children, Nath and Hannah, struggle with their identifies, their status in town, their particular family dynamics and how they’ve been altered with Lydia’s death. What I thought was most impressive, and what made the book so successful, was the fluidity of the point of view. The book dips into each of the five characters’ perspectives, giving the reader various insights into the story’s central mystery–what happened to Lydia–that the rest of the characters don’t have, as well as a closeness and compassion for each member of the Lee family that none of them can possibly have for each other. Ng doesn’t rely on chapter divisions or even hard returns to leave one character’s story for another’s. She writes with such confidence and elegance that what would come across as messy–as rule-breaking–in someone else’s hands is completely believable in hers. It took me a while to even realize what had been happening; I was so convinced by it that I didn’t stop to question. My other favorite aspect of the book is how Ng weaves one of Nath’s particular interests into the background of the book–there but never particularly important–until, in the second to last paragraph of the book, she releases all the potential she’d been building into one of the best flash forwards I’ve ever read (second only to the one I will never stop talking about and referencing, in Jennifer Egan’s story/chapter “Safari.”) I cried a little when telling my husband about it the day after I finished it, because the sentiment and meaning behind it was sad and beautiful, but also because it was so perfect structurally. It’s like crying in front of a chapel in the Vatican–the divine engineering!